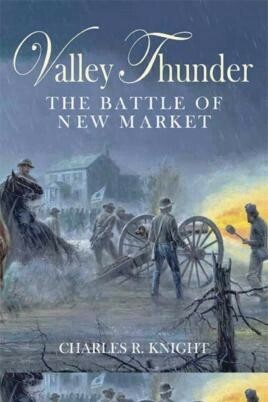 Charles R. Knight's Valley Thunder is the first full-length account in more than three decades to examine the combat at New Market on May 15, 1864, the battle that opened the pivotal Shenandoah Valley Campaign, a strategically important and agriculturally abundant region that helped feed Gen. Robert E. Lee's Army of Northern Virginia. Lt. Gen. Unfortunately, due to sales rights restrictions, we cannot offer Valley Thunder for sale in your country. Charles R. Knight’s Valley Thunder is the first full-length account in more than three decades to examine the combat at New Market on May 15, 1864, the battle that opened the pivotal Shenandoah Valley Campaign, a strategically important and agriculturally abundant region that helped feed Gen. Robert E. Lee’s Army of Northern Virginia. Valley Thunder: The Battle of New Market is based upon years of primary research. Knight’s balanced and objective approach includes a detailed examination of the complex prelude leading up to the day of battle. His entertaining prose introduces a new generation of readers to a wide array of soldiers, civilians, and politicians who found themselves swept up in one of the war’s most gripping engagements. Charles R. Knight is a former Historical Interpreter at New Market Battlefield State Historical Park, and currently serves as the curator of the Douglas MacArthur Memorial.